The Three Rivers Race is a challenge like no other. Race 50 miles over the beautiful Norfolk Broads throughout the day and night, navigating under several bridges in the process. It’s become widely known as Europe's Toughest Inland Sailing Race, and surely is one to tick off the Bucket List. A true test of seamanship, the race began in 1961 and is currently celebrating its 59th Year. With crews coming from all over the country (and beyond) why not come and give it a go yourself? Entries close on 28 April. 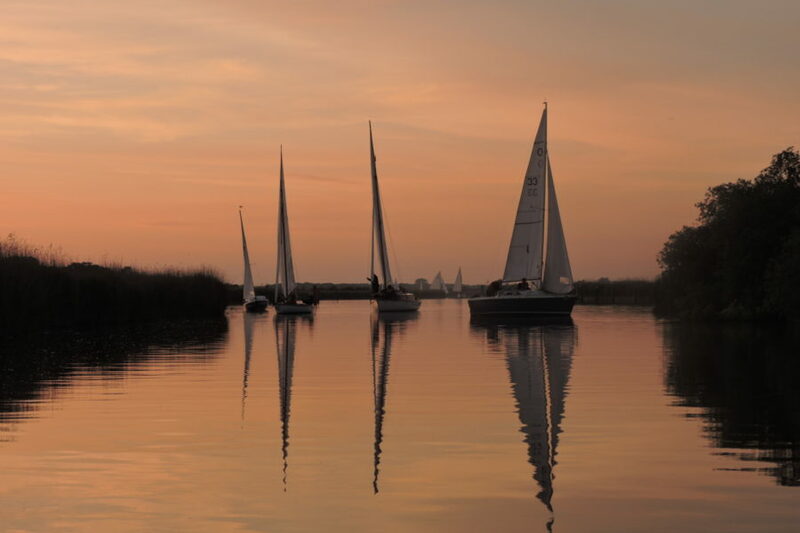 During the race our competitors must navigate three bridges at Potter Heigham and Acle. The lowering of masts is the ultimate test of skill and makes for fantastic viewing throughout the race. From their individual start each competitor has up to 24 hours to complete the course. Many sail through the night and returning for full English breakfast some time in the early morning!